Statham, Henry Heathcote. 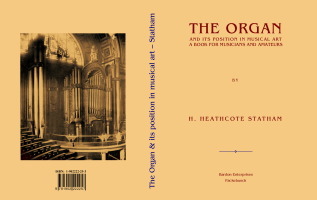 Organist of St. St. Jude’s, Whitechapel, London. Architect and writer. Father of Dr Heathcote Statham. b. Everton, Liverpool, England, Jan. 11th, 1839; d. Torquay, May 29th, 1924.